My journey began 35 years ago. As a young lad, I took up Taekwondo … and I’ve never looked back. Since then, I’ve built up a formidable portfolio of qualifications across the entire well-being and fitness spectrum. Along the way, I’ve learned about the needs of others - their goals, their successes and their challenges. I’ve also learned about myself. 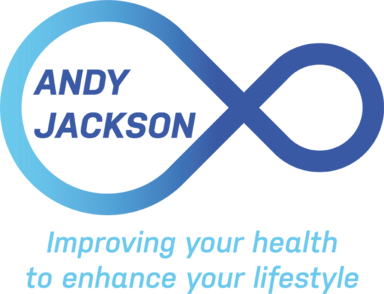 Gathering together my vast knowledge of people - what makes them tick, what holds them back - I’m now perfectly placed to help others on their journey towards fitness and all-round well-being. Since setting out as a personal trainer in 2005, I’ve helped a lot of people to achieve their fitness and weight-loss goals. I’ve never stood still. I love my work and the key to its success is a constant desire for self-improvement. I’ve continued to develop my skills by completing numerous courses. Check out the panel on the right. As the business has grown, so has my premises. I now have separate dedicated units - one for Personal Training and one for group classes. Without values, we are nothing. Without a mission, we go nowhere. Let me share mine with you. Through the teaching of Tae-Kwon Do and The Approach, as well as through providing Personal Training, I will enable people to be as physically and mentally well as they can be. Throughout my career, I’ve been fortunate enough to work and study under the UK’s finest and most influential fitness and martial arts practitioners and mentors. I met Eddie Quinn at a workshop in 2012. He was teaching The Approach Self Protection Method. He inspired me to become an Approach instructor, at which I’ve now achieved Level 2. I also attended Eddie’s private classes in Silat Fitrah, as well as attending his monthly group classes. I’m currently studying under Grand Master Hopwood in preparation for my 8th Degree Black Belt. I now follow Paul’s online mentoring program and attend his courses in Durham. So much of the Andy Jackson success story, I owe to these great people. Sign up with me … and you too will owe them your success! Find out how to look good, feel better and be your best!